Welcome to Soldotna Prep School! Established in 2014, Soldotna Prep serves all 9th grade students in the Greater Soldotna Area with the purpose of successfully transitioning students from middle school to high school. 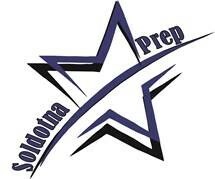 Soldotna Prep works very closely with Soldotna High School to provide a quality educational experience for our students. We invite you to explore our webpage. You will find many useful links to information that will make your connection with the school much stronger. Parents/Students- Please check PowerSchool for outstanding class fees.